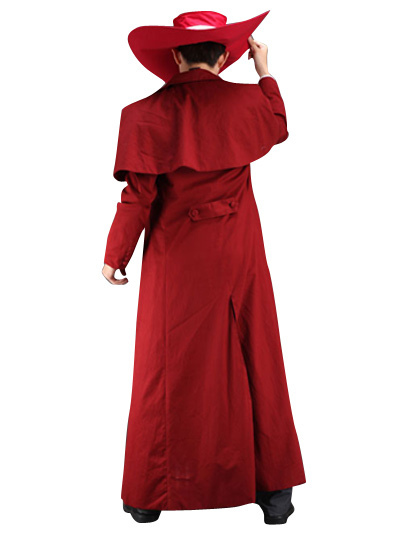 Make you the same as Alucard in this Hellsing cosplay costume for cosplay show. Since no else is really leaving a real review, I shall. Once they sent it out, the delivery was really fast. they sent it out on March 30th and I got it today, April 1st even though I live in Arizona and they are in China. Really comfortable, and everything fits on me. Nothing\'s too loose and nothing\'s too tight. I\'m really happy with this cosplay. My brother just recieved his in the mail, tried it on, and looked stunning! Hes in a wheelchair, so we had to get it custom made to fit easily for someone who is always sitting down. It shipped very quickly and the material is fantastic! No complaints about this one. 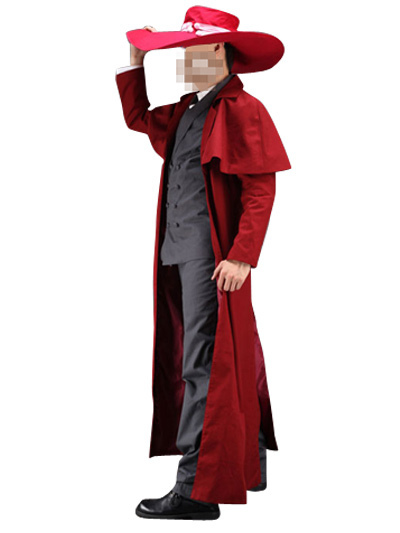 (As mother and father don't watch animes, they thought he was dressing up as a pimp, thanks to the pink band around the hat) Haha! Will be buying from you guys again soon! Bought this cosplay from Milanoo, got a lot of the outfit drew a lot of attention and a lot of good feedback. Definately shopping from this website again! Purchased this for my son for cosoplay convention. what a excellent buy, great fit,excellent construction,nice quality material. would buy from Milanoo again. Извините, но я не понимаю, какой вопрос у вас есть к нам? the vest and pants ..are they black or grey? I was really happy with the cosplay, it fit great! I know this question was asked before, but I didn't see an answer. Is it possible to just purchase partials? 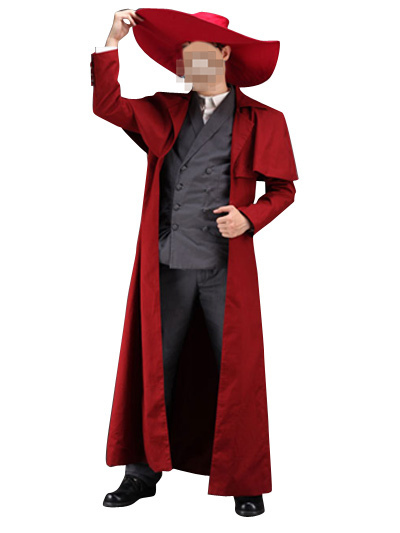 Like the jacket and the hat, for example. sorry it is imposible to purchase like that. If I just want the coat is it possible to buy it alone and how much would it be? Can u just buy the jacket and hat? Deeply sorry that we cannot sell them separately. What size do we choose? What size do we choose if the measurements are an XXS except for the height which is L ? ?